This following article would be written for the magazine called Real People. The target audience would be the over 30s especially those who have an interest in the problem of homelessness and also those who are maybe not aware of how much of a problem it still is. As of 2014 it is estimated that nearly 27,000 people are homeless in the UK that have been accounted for, unfortunately there are likely to be many more that we don’t yet know about. There are many council run services and also voluntary and largely church led services that aim to help people living rough and now a new service has been set up by a group in Hull to help combat this growing problem and try to get people off the streets and out the hostels and into their own home. The Genesis Project has been set up by Hull man Jerome Whittingham. When I spoke to him Mr Whittingham came across very passionately about his hopes for the new mentoring service which came about from a discussion between 12 people from different churches in Hull City Centre. Mr Whittingham said “There’s not much daytime activity to help homeless people so we discussed possibly opening a day centre but we don’t have anywhere near enough funding for that so we decided on the mentoring scheme instead. “We will put volunteer mentor’s 1 to 1 with homeless people, the idea is for the mentor and the service user to have weekly meetings so mentor’s can be a point of contact and stability. “The weekly meeting is meant to be creative, whether it be to encourage the person to use a creative skill they might have, acquire things like clothes or even furniture should they get a tenancy or just go to something like a creative writing course each week.” The Genesis Project is going to work alongside a service called Community Links who provide adult learning at William Booth House hostel as well but the overriding factor behind the project is to get homeless people into a tenancy and off the streets or out of the various hostels in the area. Mentor’s will also signpost clients to services such as charities who can help them once they achieve a tenancy but they will still also be able to use the Genesis Project mentor’s for as long as they feel they need them. The idea is that the Genesis Project will add support to what is already available. Church volunteer’s like at a soup kitchen will contact Mr Whittingham if they see someone attending there or at their church regularly who they believe may benefit from the service provided by the project. The service is available now and so far they have recruited 6 volunteer mentors but they don’t see any reason why that can’t be doubled in time. The project is receiving funding from the Church Urban Fund. Mr Whittingham is currently working three days a week developing the project and he is in charge of co-ordinating the mentors. He tells me that mentor’s expenses will be funded to a point but they don’t get a great deal of funding. There is also a hope that they would like to get mentors and clients together to go to any sort of artistic event. “We’re not jumping on the 2017 bandwagon but there are classes and events that do require attending and there will be lot’s of opportunities during City of Culture and that includes for people using our service so if there is an opportunity for them they will be encouraged to grab it.” Said Mr Whittingham. I also asked him about the few rough sleepers who appear to choose that way of life for whatever reason. He said “I know there are certain people living rough who don’t want to change their lifestyle at the moment but I hope that the project will be running for many years to come and hopefully as they get older and more vulnerable to illness they will decide to do something about their situation.” Jerome tells me that other projects that give emergency supplies like clothes, blankets, hot food and drink are still, and will continue to be, very important but the Genesis Project is hoping to be a more permanent answer to the homeless problem that exists in Hull. According to the Shelter website the most commonly held view about why people become homeless is due to that persons failings, when actually the truth is far different. There are many different personal and social factors that can contribute towards a person becoming homeless these may include any of the following factors. Individual factors such as, lack of qualifications or social support, debt- especially mortgage or rent arrears, poor physical and mental health, relationship breakdown or getting involved in crime at an early age. Family background including family breakdown and disputes, sexual and physical abuse in childhood or adolescence, having parents with drug or alcohol problems or previous experience of family homelessness. Institutional background like, having been in care, previously served in the armed forces or been in prison. There are also structural factors that can cause a person to become homeless. Structural causes of homelessness are social and/or economic in nature and are often outside of the control of the individual and family concerned. They include unemployment, poverty, a lack of affordable housing, housing policies, the structure and administration of housing benefit or wider policy developments such as the closure of long-stay psychiatric hospitals. These problems require long-term policy solutions such as changes in the housing benefit system, the building of more affordable homes and ensuring that a wider cross-section of society benefits from the fruits of economic growth. The website goes on to say the three main reasons given by applicants for homelessness support from local councils are, Parents, friends or relatives unwilling or unable to accommodate them, relationship breakdown including domestic violence or loss of an assured shorthold tenancy. However these reasons are only the catalysts that trigger people into seeking assistance, and not the underlying reason that have caused the crisis to build up in the first place. For many people there’s no single event that causes sudden homelessness. Instead homelessness is due to a number of unresolved problems building up over a period of time. Mr Whittingham said there are maybe about two dozen council and voluntary services in Hull to help the homeless but they are more geared towards providing temporary relief which could be misconstrued as making rough living seem like a more viable option rather than actually reducing numbers of people who are homeless. There is a belief within the project staff that the specific problems that lead people into homelessness are better to be dealt with once the person has found suitable accommodation and is no longer living rough. Mr Whittingham went on to say, “We want to help people who have a chaotic way of life and get them standing on their own two feet, but the service we aim to provide won’t stop there, if a person believes we can still help them once they have a roof over their head we will still be there to help for as long as they need us.” There are other services for the homeless in Hull including a project called the Futures Project and there is also Humbercare who provide support once a person has found accommodation among many other projects. Now homeless people in Hull have another service to rely on. 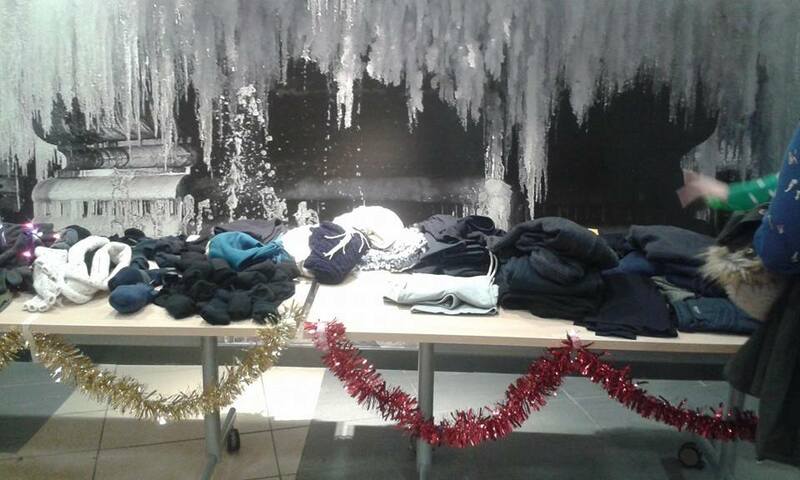 Staff from the Quays Medical Practice gave up their free time last night to help homeless people in the area with donations of clothing, food and drink, toiletries and somewhere warm to sit and chat with friends for a few hours. 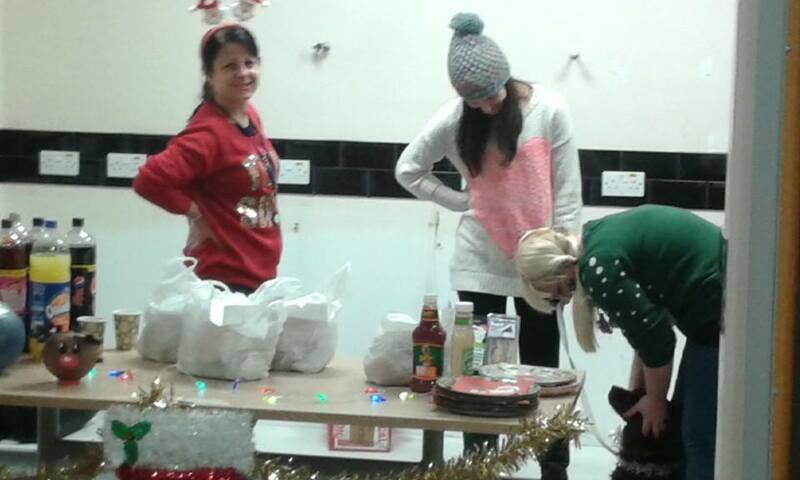 The event was made possible with donations from Shield Security, who provided a security officer for free so they could keep the Wilberforce Medical Centre open later than normal, City Health Care Partnership, Citi Link, Sewells and GMB Union also helped with the cost while staff also donated certain items. 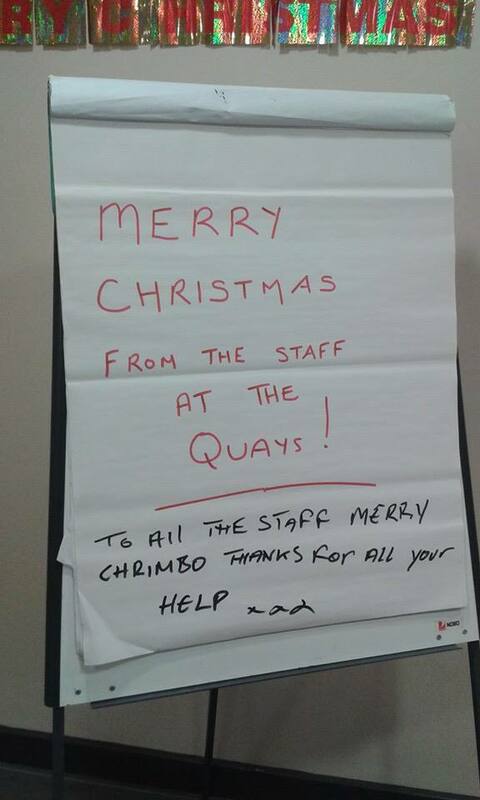 Staff from the Quays who gave their time were Practice Manager Denise Wilkinson, Receptionist Claire Garrett and clinical staff Laura Gunstead, Anna Darwick, Louise Raynor and Jacqui Sinclair and another volunteer was Sharon Hutchcroft. Miss Garrett said that they only do this once a year but there is a desire to make it a twice yearly event by also running an evening like this in summer as well as winter but more funding and donations would be needed to make this possible. She said “I believe very passionately in what we’re doing this evening and I would like to see another event like this in summer but we would need extra funding and donations to be able to do it twice a year rather than just annually which we do now. She went on to say “The help from Shield, the CHCP, Citi Link, Sewells and the union has been invaluable and we are very grateful to them, but there aren’t enough services out there for the homeless and we would like to see more being done for them.” Ms Wilkinson also expressed gratitude to those who had donated time and resources to the evening and also said about the wish to run a similar evening in the summer, she said “An evening like this during summer would also be very useful so we can provide things such as sun cream, cold drinks and appropriate clothing like tee shirts because, as we all know, the effects of extreme heat can be just as devastating as the freezing cold, with conditions such as heat exhaustion and skin cancer.” The evening was certainly very well run with staff helping several people who either sleep rough wherever they can or are currently staying in Hostel’s such as Dock House and William Booth House, amongst others, where posters were put up by Mrs Gunstead to advertise the event. 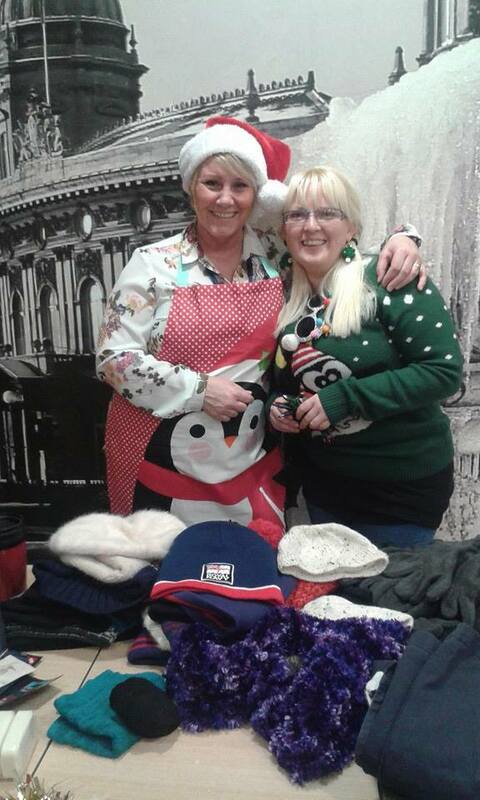 Beneficiaries were treated to food such as hot sandwiches, Pot Noodle’s, Mince Pies and biscuits, cups of tea, coffee and hot chocolate and were invited to rummage through stacks of clothing such as jumpers, coats, hats, gloves and scarves. The South rocked Hull City Hall last night with some old favourites that they did as The Beautiful South and some new songs from their new album Sweet Refrains. There was no Paul Heaton or Jacqui Abbott of course but with Alison Wheeler and Dave Hemingway, both of which were also in The Beautiful South, as the lead vocalists the band still has that gritty edge that is unmistakable and still makes old classics such as Rotterdam, Perfect 10 and Old Red Eyes sound as original as they always did. The biggest cheer of the night came from the audience when Dave Hemingway announced how good it felt to be back home in Hull and it was nearly equalled when, having left the stage to chants of “We want more”, the band came back on to sing a few more tunes. On several occasions they had the whole audience on their feet and even had several people leaving the balcony where I was sat to go down and dance in front of the stage. On their website, thesouth.co.uk, the band have up to date news about what they’re doing including their work for the Teenage Cancer Trust which also got mentioned several times. All in all the band clearly has a very big heart and there is a definite magnetism on stage between the two lead vocalists and there is much engagement between the band and the audience which brought a real sense of fun and togetherness to the gig in such magnificent surroundings. After such a fun filled experience I can only imagine that we will all be hearing much more from, and about, The South in 2015 and for many more years to come, certainly I and no doubt many thousands more will look forward to when they return to Hull and just hope we don’t have to wait too long.